Learn what to put in a bug out bag that could mean the difference between life and death using Absolute Rights' Special Report. It’s possible to be prepared without going to extremes, and “Get Out Of Dodge” will help anyone face the unthinkable and the unstoppable forces that threaten societal stability. Knowing what to put in a bug out bag takes patience and practice. Unfortunately, neither of those is available when an emergency strikes. The latest Absolute Rights.com article said disasters, especially those that require evacuation, provide very little time and zero chances to collect thoughts. The work that’s done before a flood, hurricane, or earthquake hits is what makes survival a realistic outcome. Absolute Rights is bringing that ability to their subscribing members with the new Special Report “Get Out Of Dodge.” The article said that it is the most practical and informative guide to prepare for dangerous weather, fires, man-made disasters and economic breakdowns. 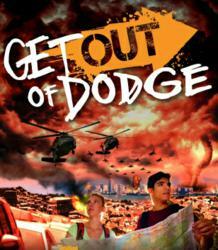 “Get Out Of Dodge” includes detailed evacuation plans, communication measures, protection steps and recovery efforts. While others are forced to scramble and scavenge for last-minute supplies, readers of the Special Report will have taken the emergency preparedness steps and can rest easy knowing they are ready for anything, said the article. The “Get Out Of Dodge” Special Report will motivate catastrophe awareness, and inspire Americans to take personal responsibility. Everyone needs to prepare themselves for the disasters that can and will occur, according to the article. Truly preparing for an emergency scenario may seem overwhelming, but it gets easier with more and more knowledge and practice. Disasters that require quick evacuation leave no time for gathering and packing supplies, which is why “Get Out Of Dodge” and its additional Workbook include extended practice drills and pre-planning steps. They allow people to think through their personal survival supplies, and develop the best bug out bag possible. Seven pages are given to bug out bag contents lists, making the Special Report the most extensive source of survival supply ideas, said the article. It’s possible to be prepared without going to extremes, and “Get Out Of Dodge” will help anyone face the unthinkable and the unstoppable forces that threaten societal stability. Making mistakes, before during and after a disaster, could mean an even worse fate, the article said. Avoid any errors in preparation and judgment with the expert advice in the Special Report. Absolute Rights informs patriotic Americans on their given rights, plus helps protect those rights from government intrusion. Most importantly, it prides itself on alerting people when their rights are being threatened, creating an active and informed community. For more information, be sure to visit AbsoluteRights.com. Don’t leave survival chances up to Mother Nature or the kindness of man. Know when to evacuate and what to put in a bug out bag for the best odds of staying alive in the face of any emergency.